MAP stands for “Measures of Academic Progress.” These computerized tests are adaptive and offered in Reading, Language Arts, and Mathematics. When taking a MAP test, the difficulty of each question is based on how well a student answers all the questions. As the student answers correctly, questions become more difficult. If the student answers incorrectly, the questions become easier. In an optimal test, a student answers approximately half the items correctly and half incorrectly. The final score is an estimate of the student’s achievement level. IOWA testing provides one snapshot of a student’s progress. IOWA testing cannot be used as ongoing assessment to review academic growth and drive instruction throughout the schoolyear because it is only performed once a year. 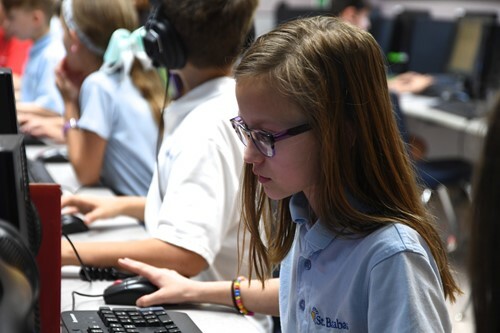 MAP testing is done multiple times so progress can be gauged and a teacher can make adjustments during the school year and see results of changes. MAP is an efficient way to assess achievement levels and assist teachers in adjusting instruction. MAP identifies the individual needs of all students, from struggling to advanced learners. Reports can assist teachers in grouping students according to ability levels for optimal learning and students’ growth. All students will have the ability to review their test scores and set goals for themselves, which will help motivate them and give them a sense of ownership of their learning. There is a career and college ready component that students can utilize to understand if they are on track to be accepted to the college of their choice. MAP testing aligns with the Third Grade Reading Guarantee from the Ohio Department of Education. Although the tests are not timed, it usually takes students about one hour to complete each test. Some students take less time; other students will take more time. When and how often will Students be tested? Students will be tested at the beginning of the school year in the fall (September), in the winter (January), and in the spring (April).